Once you step inside this abode, you’ll see that this two-story, 4,388 square foot beauty is just as wonderful on the inside as it is on the outside, and has plenty of space for your family. It includes four bedrooms, with a master down, and a three-car side garage for all your storage needs. 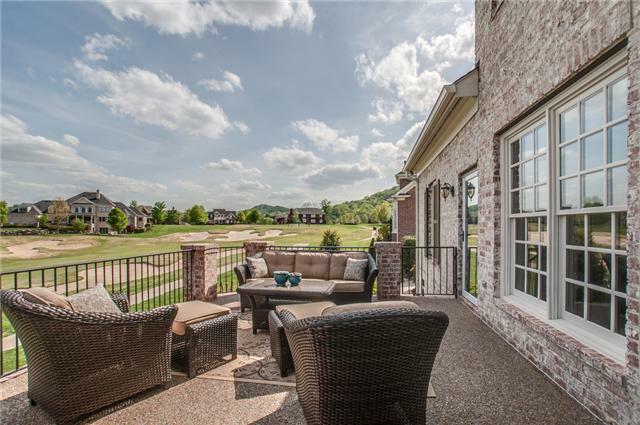 Priced at $756,000, you’ll also get all of the community amenities from living in this popular gated community, like a pool, tennis courts and fitness center. 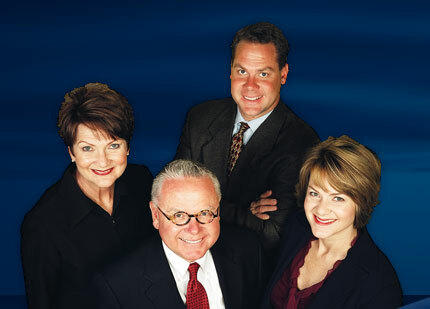 10 Angel Trace was built with quality in mind. 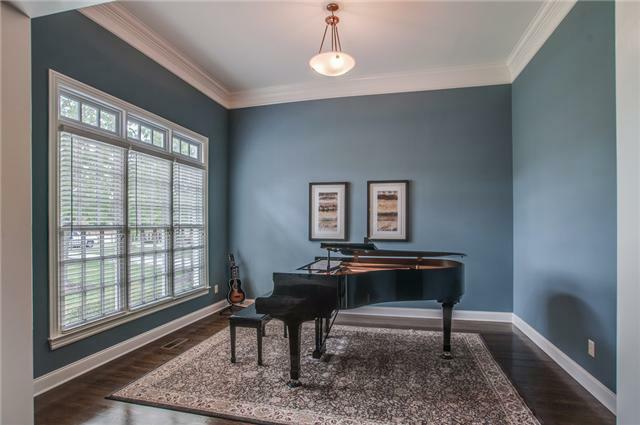 The entire first level has sparkling hardwood floors and custom chandeliers. The flow is natural, with many oversized doorways which allow ample light to filter throughout. The colors are neutral and current, while the moldings are thick and substantial. A spacious dining room and a living room/office flank the foyer. 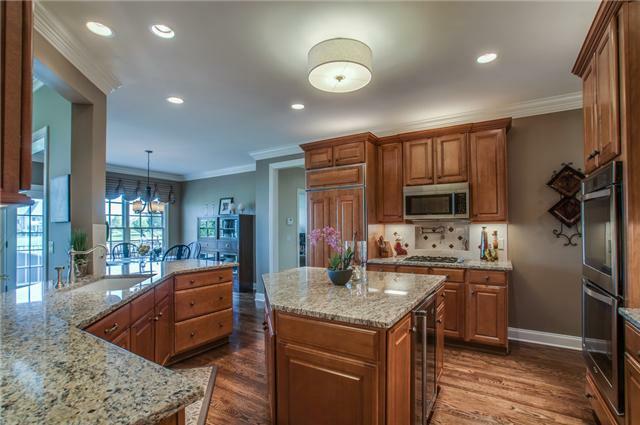 In the rear of the home is a large, beautiful eat-in kitchen with low-bar seating and an island. It includes granite countertops, tiled backsplash, and stainless steel appliances including convenient double ovens, a gas cook-top, and paneled refrigerator. There’s plenty of counter space for the chef of the family and a pantry for storage too. Adjacent to the kitchen is the den area featuring a cozy fireplace and wonderful built-ins. This is a great spot to watch television or read a book. 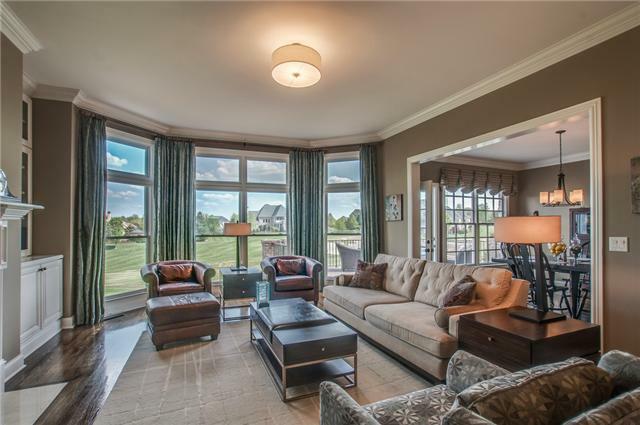 A wall of windows spanning the length of both rooms allows you to overlook the backyard and the expansive lush golf course in the distance. Off the kitchen/den area is the raised aggregate back porch, which is accessible through a French door in the kitchen. 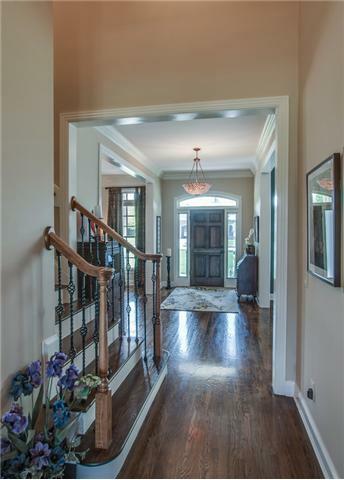 It features iron railings with brick balusters and is an entertainer’s dream space. 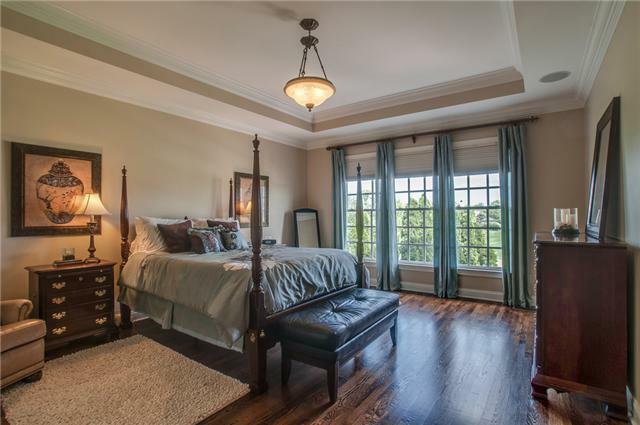 The master bedroom at 10 Angel Trace is large and sophisticated with a striking trey ceiling as its focal point. 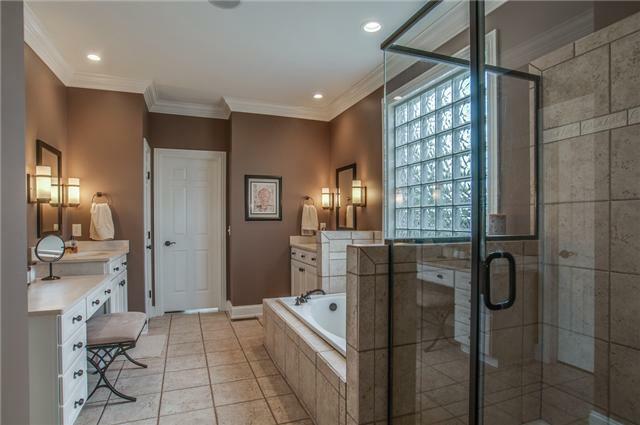 The en suite features his-and-her sinks along with a make-up counter, soaking tub and upgraded shower. 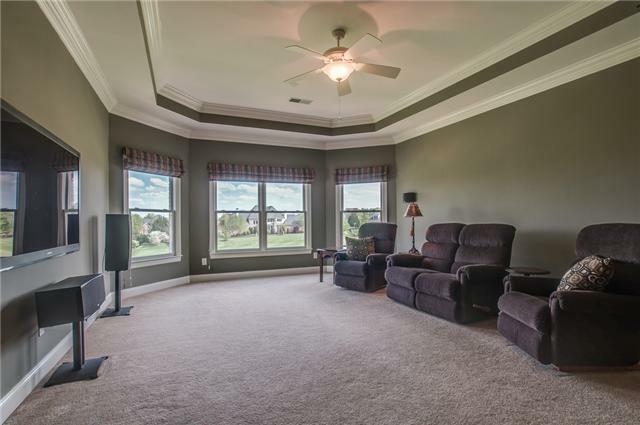 On the second floor, the enormous carpeted media room was made for family movie night. Or, use it as a kid’s playroom. A separate recreation room is also versatile, and can be used as an office or homework space. Lots of space means plenty of options for you.